At 15, 'princeling' Xi Jinping was forced to quit luxuries of city life and sent to work in the villages and mountains. Come March 2013, he will be the leader of over 1.3 billion Chinese people and probably the most influential politician on the planet. 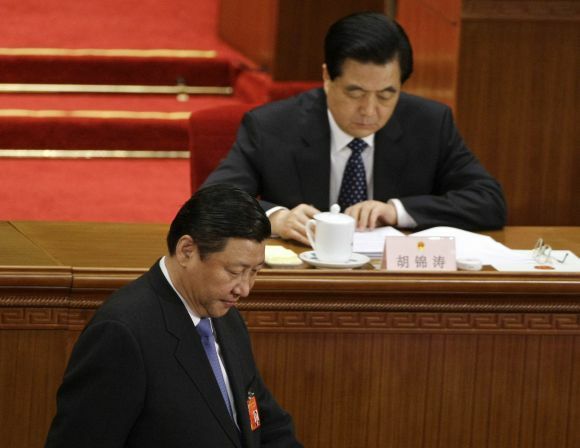 We present the story of China's president-in-waiting. Chinese Vice-President Xi Jinping, 59, is virtually confirmed to be the successor to outgoing President Hu Jintao after he was formally designated as the secretary general of the once-in-a-decade leadership meet of the ruling Chinese Communist Party which began in Beijing on Thursday, signalling a smooth transfer of power. Xi will succeed Hu as President in March, it is learned. Born in 1953, Xi is the son from the second marriage of Xi Zhongxun, a revolutionary hero whom then-paramount leader Mao Zedong would appoint minister of propaganda and education. When Xi was 10, his father was purged and sent to work in a factory in Luoyang.Xi was 15 when his father was jailed in 1968, during the Cultural Revolution. Without the protection of his father, Xi went to work in Yanchuan County, Yan'an, Shaanxi, in 1969 in Mao Zedong's Down to the Countryside Movement, according to Wikipedia. When he left in 1975, he was only 22 years old. When asked about this experience later by state television, Xi recalled it saying, "It was emotional. It was a mood. And when the ideals of the Cultural Revolution could not be realised, it proved an illusion." From 1975 to 1979, Xi studied chemical engineering at Beijing's prestigious Tsinghua University. Following his graduation, Xi served as secretary for his father's former subordinate Geng Biao, the then vice premier and secretary-general of the Central Military Commission. This gained Xi some military background, something that Hu or his predecessor Jiang Zemin lack. In 1985 he visited the town of Muscatine, Iowa as a part of a Chinese delegation to study American agriculture. In February 2012, during his official visit to the United States, he made a nostalgic visit to the town, a significant move noted worldwide. He joined the Communist Youth League in 1971 and the Communist Party of China in 1974.In 1982 he was sent to Zhengding County in Hebei as deputy secretary to the CPC Zhengding County Committee, and was promoted in 1983 to Secretary of the CPC Zhengding County Committee. In 2002 Xi took up senior government and party positions in Zhejiang Province, and eventually took over as party chief after several months as acting governor, becoming the first-in-charge in the economically successful coastal province. Xi was then made an alternate member of the 15th CPC Central Committee and holds the membership of the 16th CPC Central Committee, marking his ascension to the national stage. 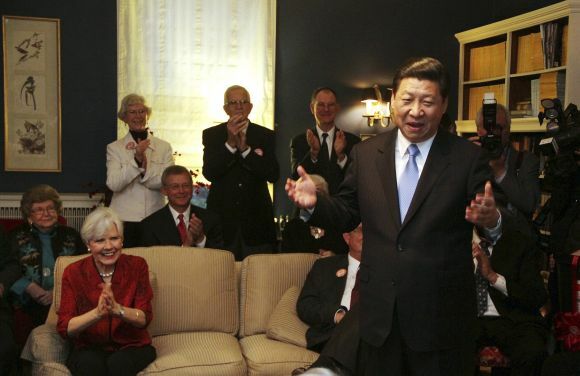 Image: China's Vice President Xi Jinping speaks at the home of Roger and Sarah Lande in Muscatine, Iowa. Xi joked about receiving a gift of popcorn during his first visit to Muscatine in 1985. While in Zhejiang, one of China's most affluent provinces and a center of China's successful economic development, Xi provided the economic environment which secured growth rates averaging 14 per cent per year. His career in Zhejiang was marked by tough and straightforward stance against corrupt officials, which earned him a name on the national media and drew the attention of China's top leaders. Xi was transferred to Shanghai in March 2007 to become the new party chief of Shanghai. Xi's appointment to one of the most important regional posts in China was clearly a sign of confidence from the central government. Xi's career is notable in that during his regional tenures, he was never implicated in any serious scandals, nor did he face serious political opposition. He was named as one of the most influential people in the world in the 2009, 2011 and 2012 Time 100 lists. Xi married the famous Chinese folk singer Peng Liyuan in 1987, his second marriage. Peng Liyuan, a household name in China, was much better known to the public than Xi until his political elevation. 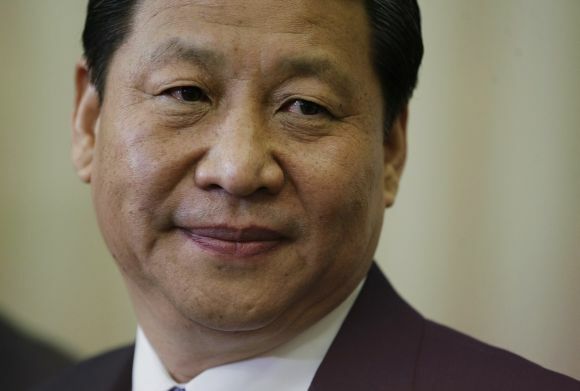 Xi was described in a 2011 The Washington Post article by those who know him as "pragmatic, serious, cautious, hard-working, down to earth and low-key." Xi's image, however, took a hit in June when Bloomberg reported on the wealth of his extended family. Although no assets were traced to Xi, his wife or daughter, Bloomberg found that his extended family had business interests in minerals, real estate and mobile-phone equipment, with assets in the hundreds of millions. The Chinese government censored this information, going as far as blocking Bloomberg's website after they reported it. When Xi takes over, it will not be his psychology and personality that will determine his policies and actions, but rather his position and the circumstances of his rule. And that means that Xi's rule will be erratic, contradictory, and ultimately either disappointing or even dangerous, Jiang Xueqin said on CNN. And the West will have its eyes firmly fixed on the man meant to rule them all, the article added.